Ticket sales for this event have ended. Thank you! It will just last 60 minutes, but the attendees at the inaugural 60 ideas in 60 minutes event will walk away with the collective knowledge of local business leaders. These leaders will share 10 of their company’s most successful programs and initiatives-both big and small-that can be applied to any business. Attendees will receive all 60 ideas in a special exclusive supplement, complete with areas to take notes. Please join us at Via Bella Banquets in Countryside on November 15th. The morning will begin at 8am with networking and breakfast buffet with the program starting at 8:30am. 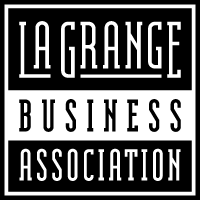 For questions, please contact Meredith Schaefer at Shaw Media, mschaefer@shawmedia.com or Nancy Cummings at the La Grange Business Association, nancy@lgba.com. Mike Murrill – New CEO for Amita Health Adventist Medical Center La Grange. Jeff Pieta – President and Chief Growth Officer at Shiftgig, the on-demand marketplace that connects businesses with short-term workers. Kris Lonsway, Ph.D – Executive Coach and Management Consultant.